So now it is time to set in the sleeves, but first I will chat about how I drafted the pattern, and how it met my expectations. For a fact, I am a loose knitter, so I used a 3.75mm needle when the ball band called for a 4, and even so, my gauge is 19 stitches and -- rows to 4 inches, rather than the -- stitches and -- rows on the ball band. Never mind, I like the way the fabric feels, I think it has integrity, so I am basing my calculations on my figures. 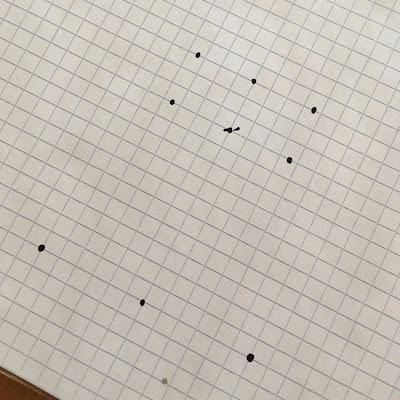 I like to use 4 or 5 squares to the inch graph paper, 1 square = 1 inch. I really helps me visualize proportions. First I put dots (sometimes in pencil first) at the desired measurement points. The connect the dots and add the script detail. I am quite fond of the "katcha katcha" row counter from Clover, so I make a row list for decreases, and the stitch count after each step. I also prefer to work the shaping 1 or 2 stitches in from the edge, with appropriate right and left leaning decreases. 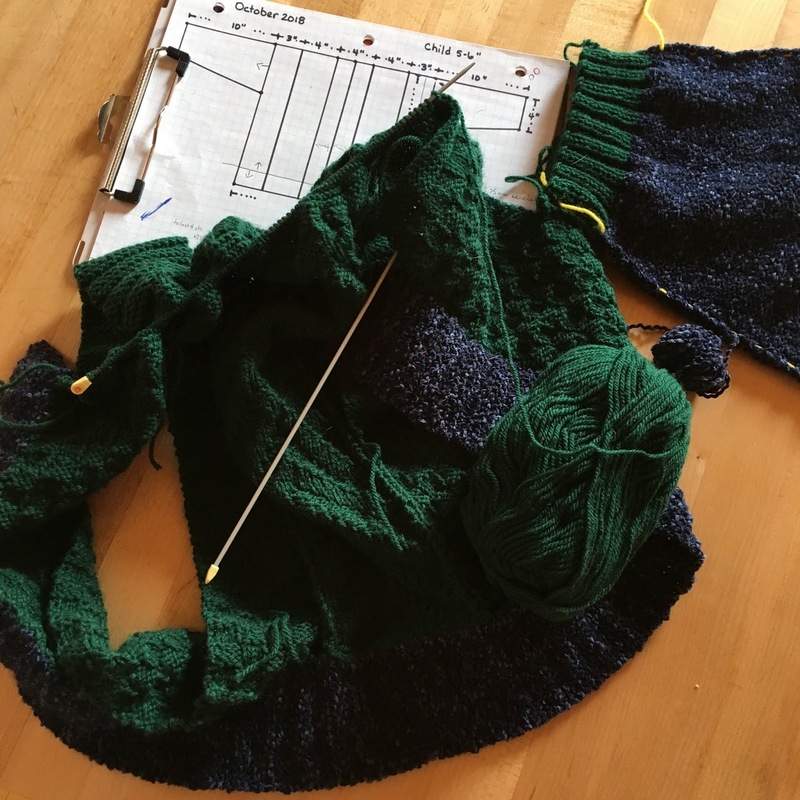 Knitting the sleeves from the top down is a valuable strategy. 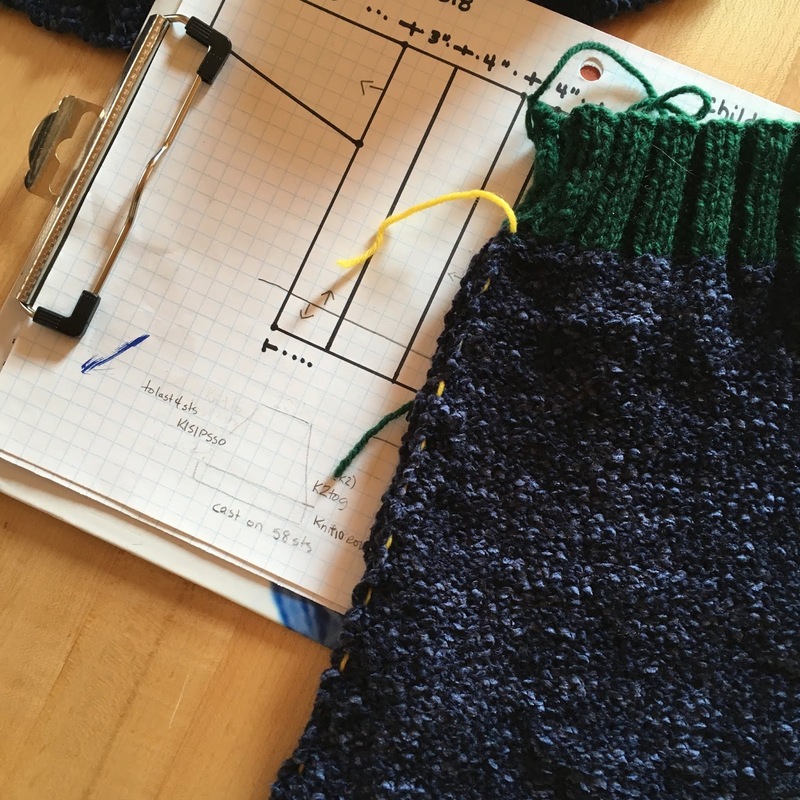 You can amend the shaping, augment the lower part with a second and or third yarn, and deepen the cuff to achieve the desired length. Sometimes I knit two sleeves at once so they match until the yarn runs out. All in all, a very helpful practice. 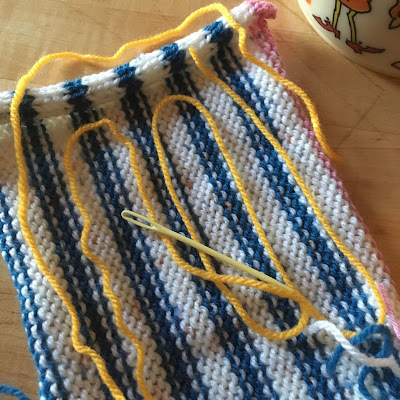 To finish off, I dug out some 2.5mm straight needles and really enjoyed knitting where the working point is not much different in diameter to the stem of the needle. 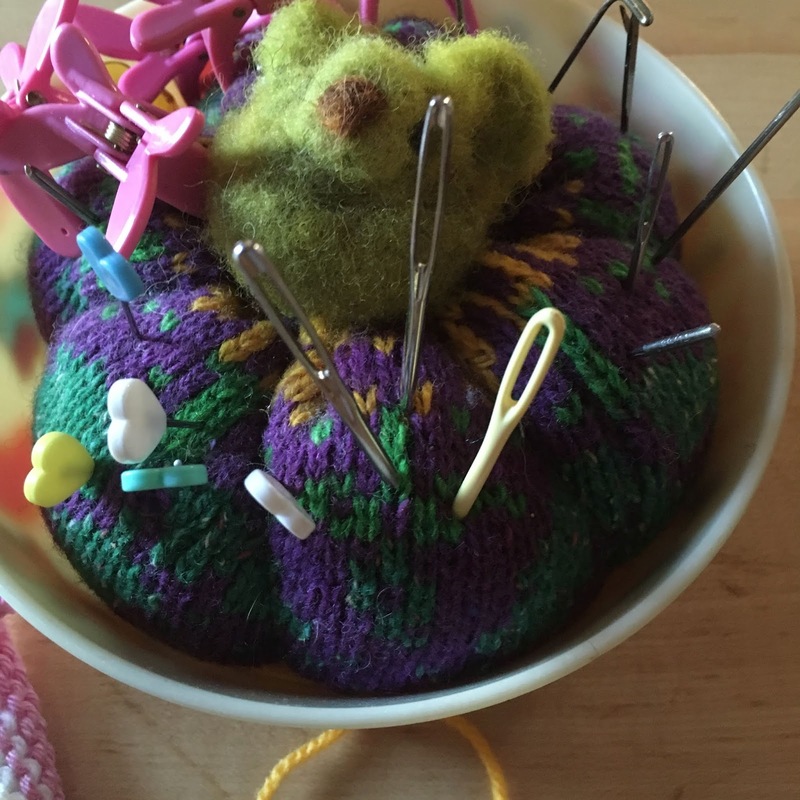 These vintage needles remind me of the "stratnoid" needles my dear Aunt Joan used to work with. Sleeves basted right side together, ready for the steam blocking, under a tea towel of course, because both yarns contain nylon, which goes quite unpleasantly crispy if you touch with the sole of an iron. 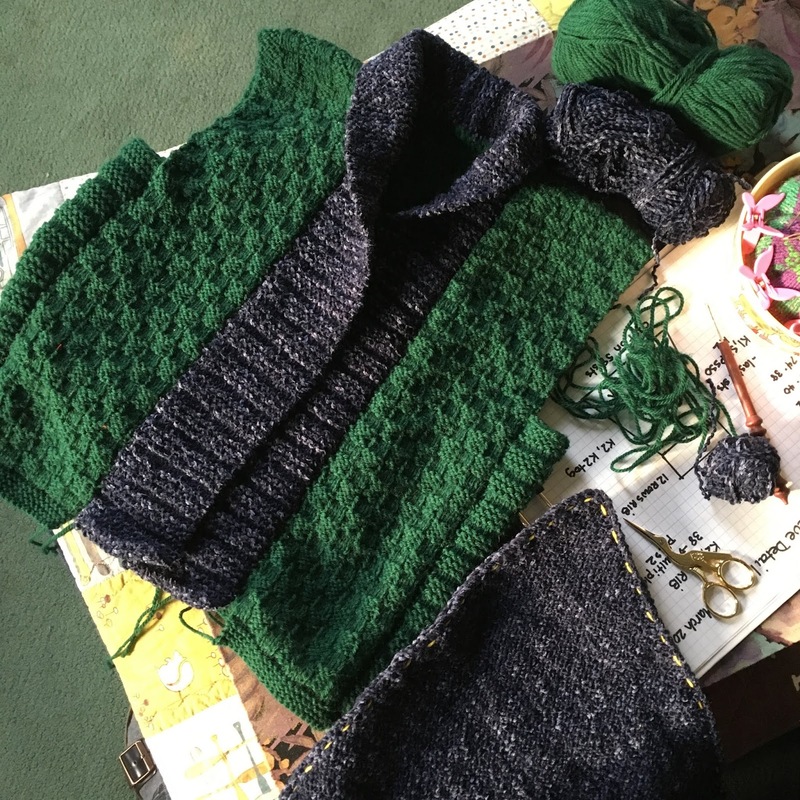 Here you see how uneven the body is before pinning out and blocking, but with many of the yarn ends tucked away. The body pinned out, and sleeve opening measurement double checked. 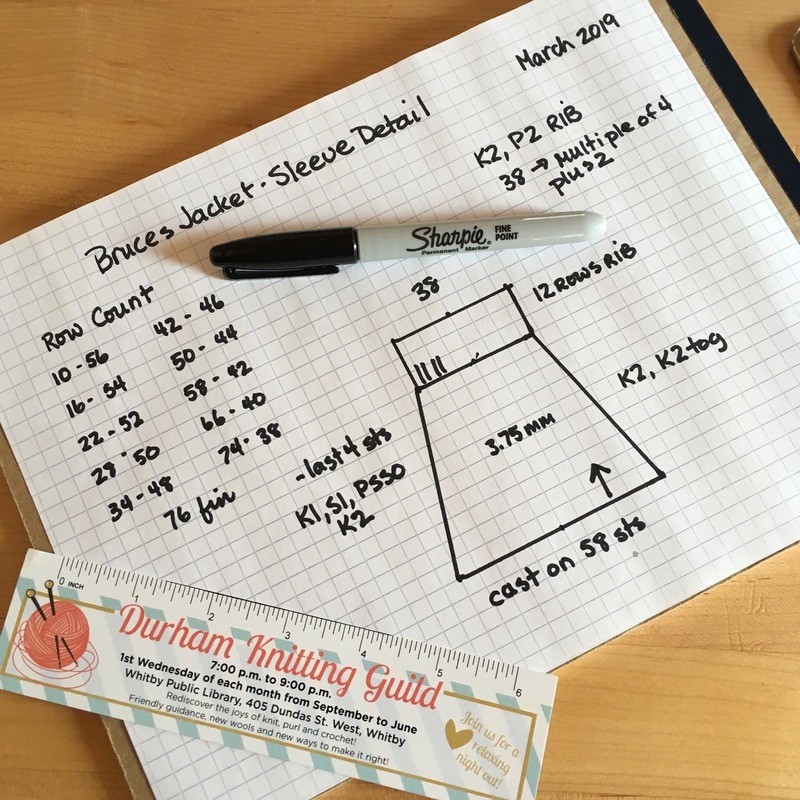 The sleeve matches the measurement I had planned on paper, without much coaxing. 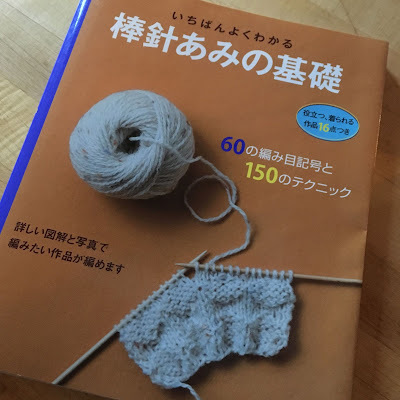 Sleeves in using a crochet slip stitch, cuffs get the mattress stitch, I love this Youtube video from Pierrot Yarns in Japan. What is the sound of one tapestry needle sewing? Next, Bruce will let me know about if he wishes this chunky pewter clasp from Norway. 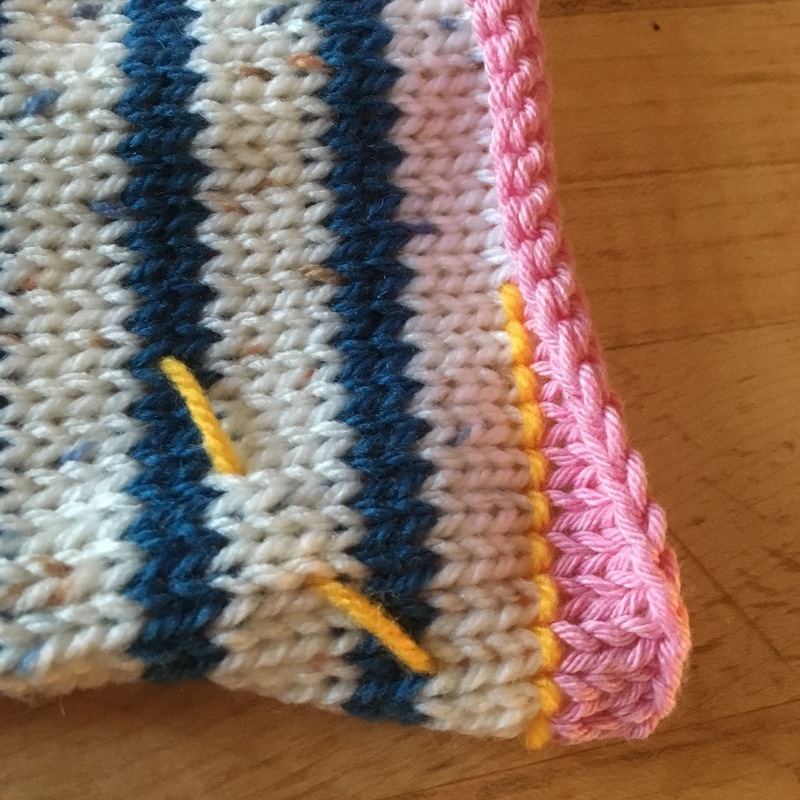 Over the years, many times, people have told me about how their mothers sewed knitted pieces together, without a seam edge showing on the inside. 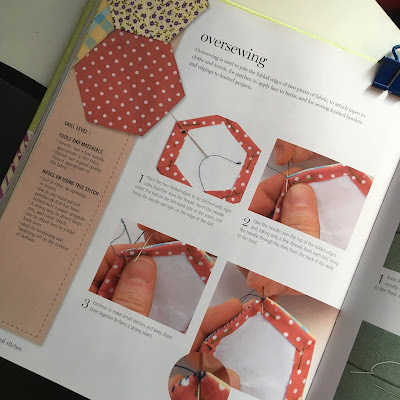 I believe the best way to accomplish this is by using what is known to sewists as the oversewing or whip stitch. The other thing I have heard many times is the practice of adding an edge stitch, often slipped every other row, in knit (garter stitch). I use this is sock making myself, making the picking up for the instep clear and easy. Women at home have a long history of sewing and making for themselves and their families. To me, this means a deep practice in handwork was normal. 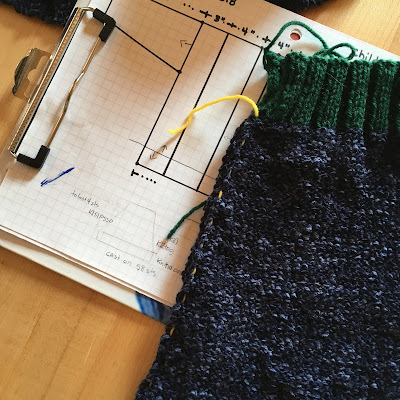 Richard Rutt has a great deal to say about the history of sock knitting, as well as knitting in general. 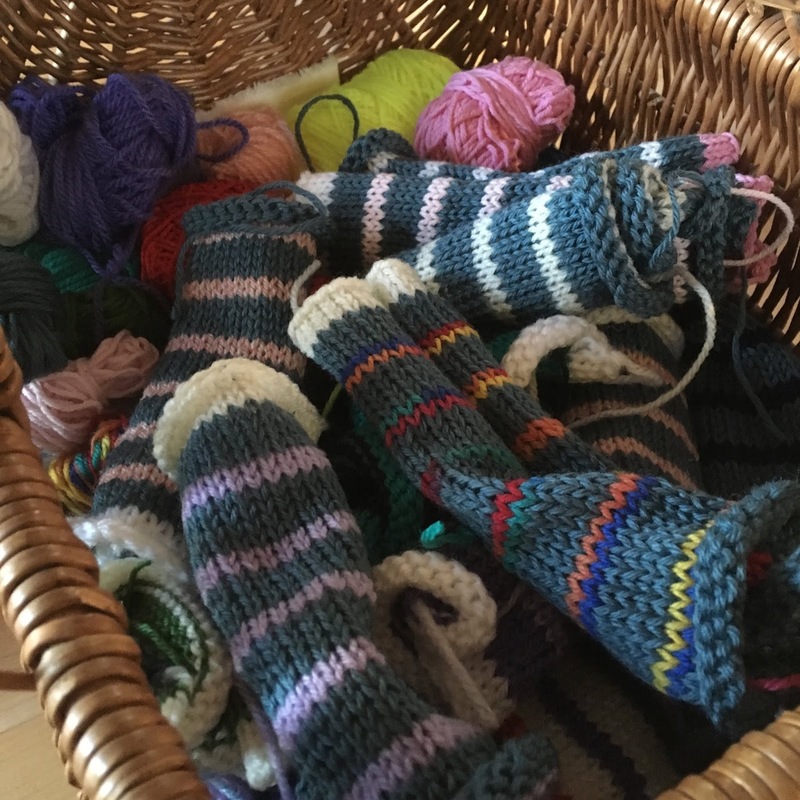 I believe people constantly made socks, both for the family and for sale. 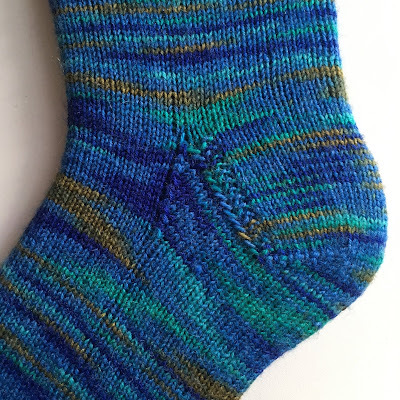 It could be that sock making practices migrated to garment making. Creating a sweater is a special occasion, and extra expense of time and material. Perhaps a new baby or an evening out. 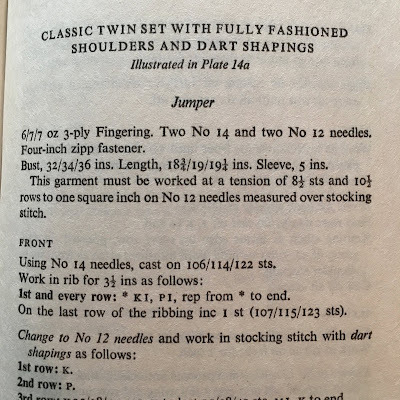 You would also want to make a fine fabric if you were layering, as in a twinset, a suit vest or a pullover. 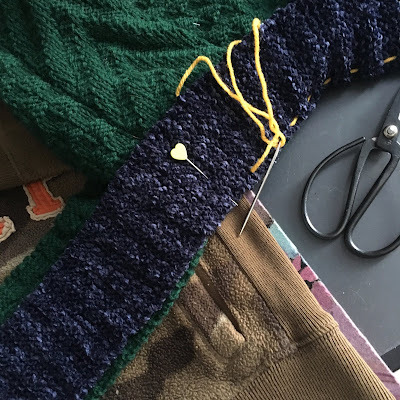 A high level of skill fits perfectly with the flat sweater seam. 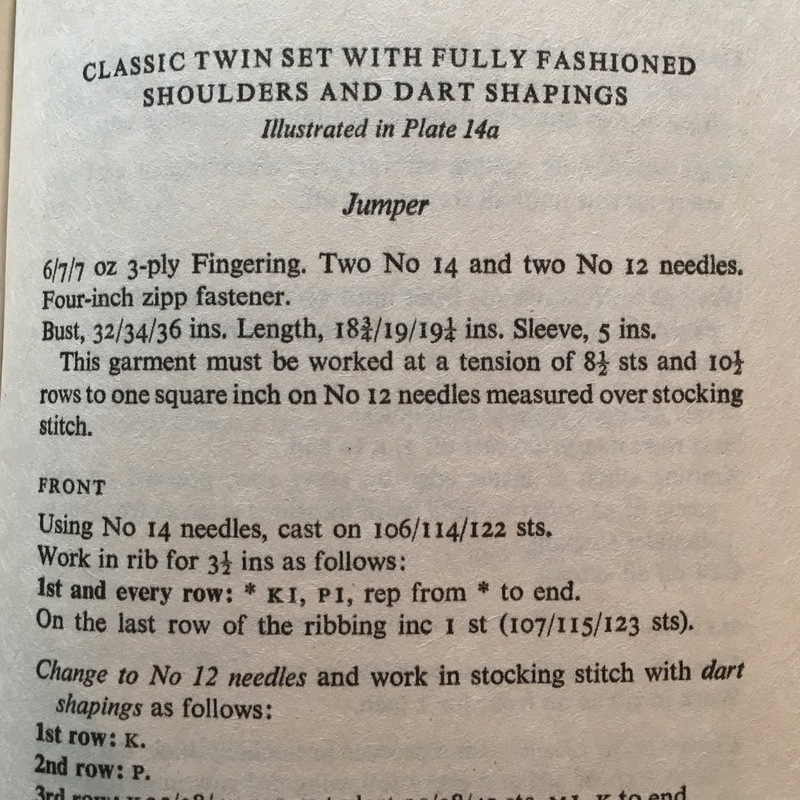 It would be carefully worked, on a garment made out of typically fine yarn. Patterns from the 30's 40's and 50's were made with fine 3 ply at a gauge of 32 stitches to 4 inches on a 2.75 mm needle. 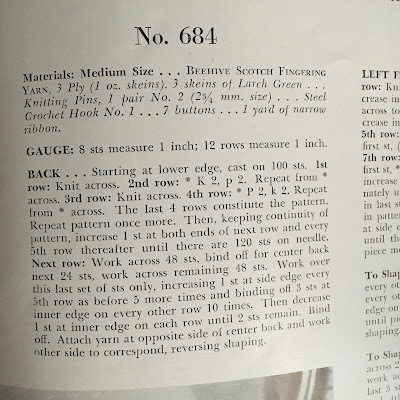 Today's common worsted weight or even DK was the considered a heavy weight for an outdoor garments or quick projects. 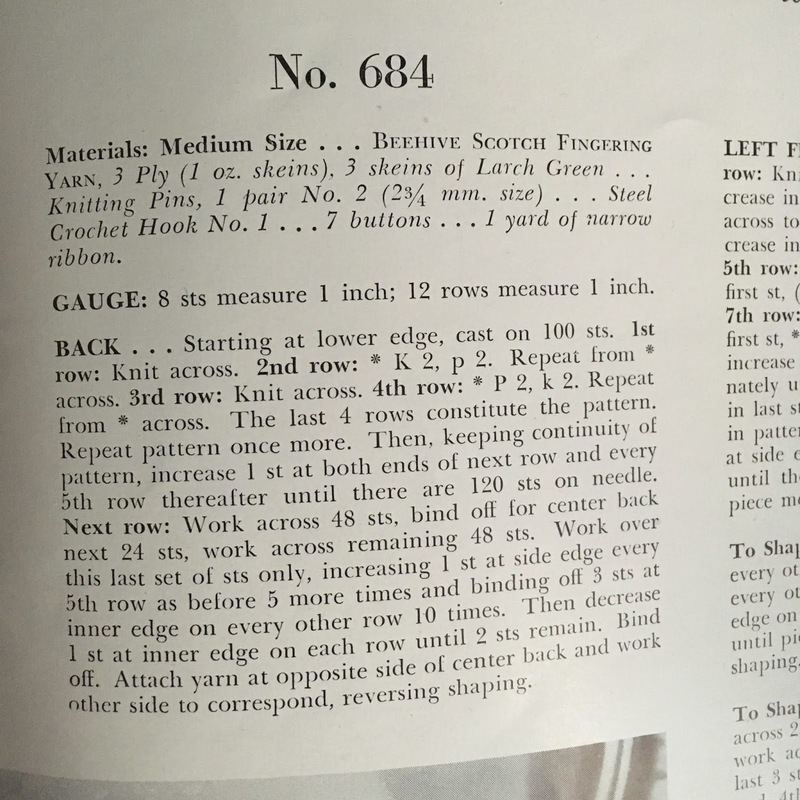 Most of the garments are worked in fine yarn. 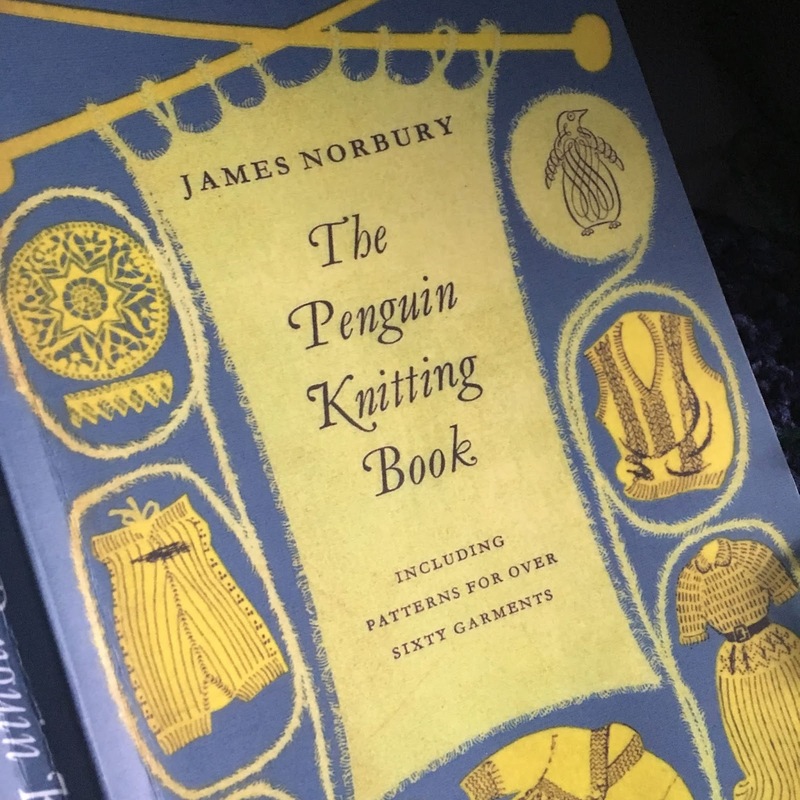 It is interesting that Mr. Norbury is an advocate of the back stitch, rather than the whip stitch. Bernadette Banner, a historical sewist makes the distinction of seams that will be stressed, as in the shoulder area, verses seams that only need to join fabric as in a skirt side seam. 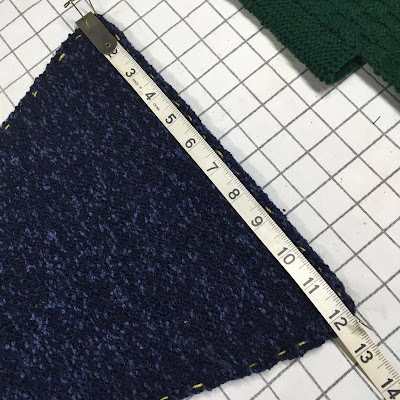 Alabama Chanin, a modern hand sewer uses Coats Button and Craft, a super strong thread doubled. Even if you were a super fast knitter it would take many, many evenings of precious spare time to create a jumper. You also had the responsibility of making for a large family, thus putting the pieces together would be a most satisfying and brief event compared to the time spent knitting. 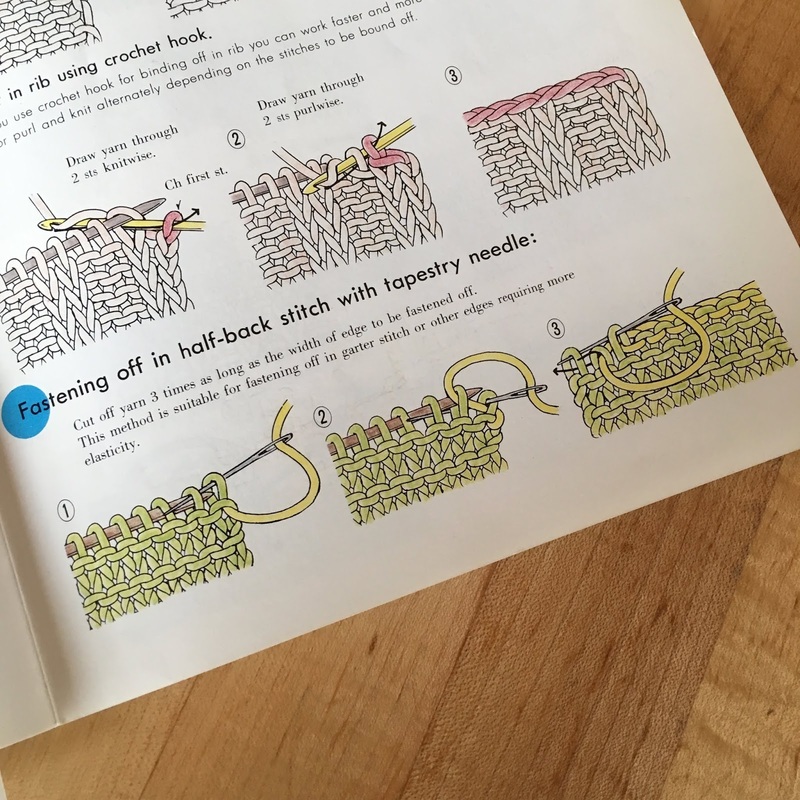 Oversewing stitch is common in English Paper Piecing Patchwork. The pieces are butted up against each other, joined, and lie flat when stitched together. 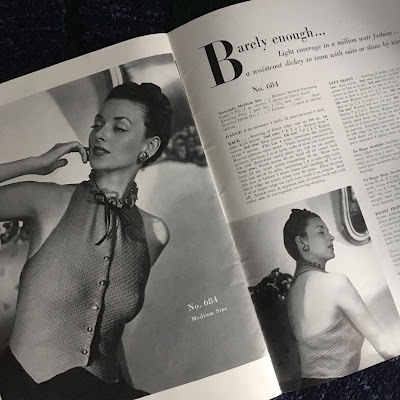 Another factor could be knitters using mostly wool before WW2. A Fibre which can be safely steamed and pressed, making a seam even more flat and smooth. Back to the collar on Bruce's jacket. 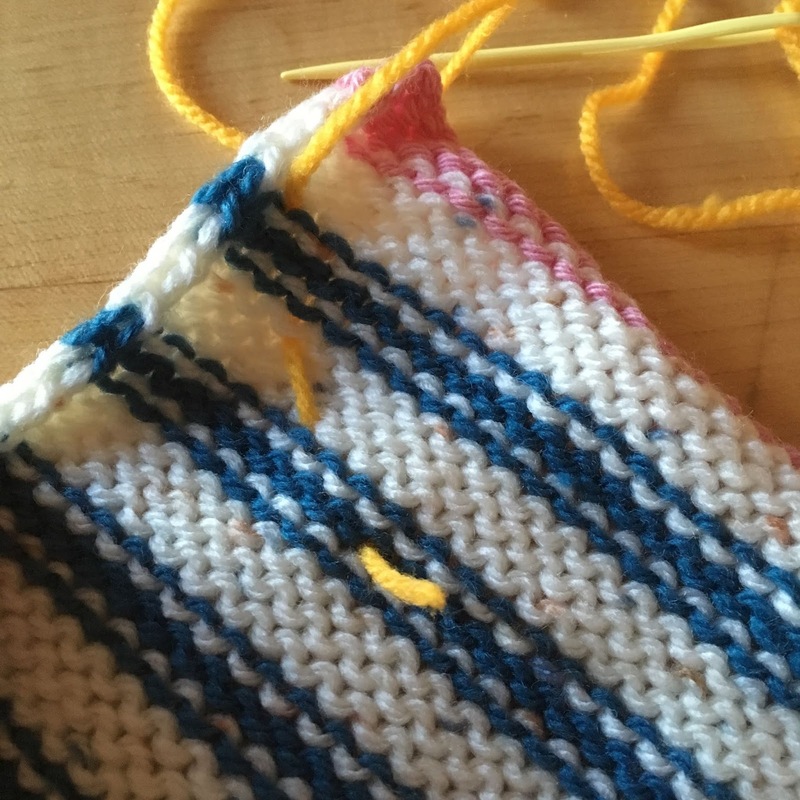 Before I permanently stitch it into place, I first baste the strip in place. 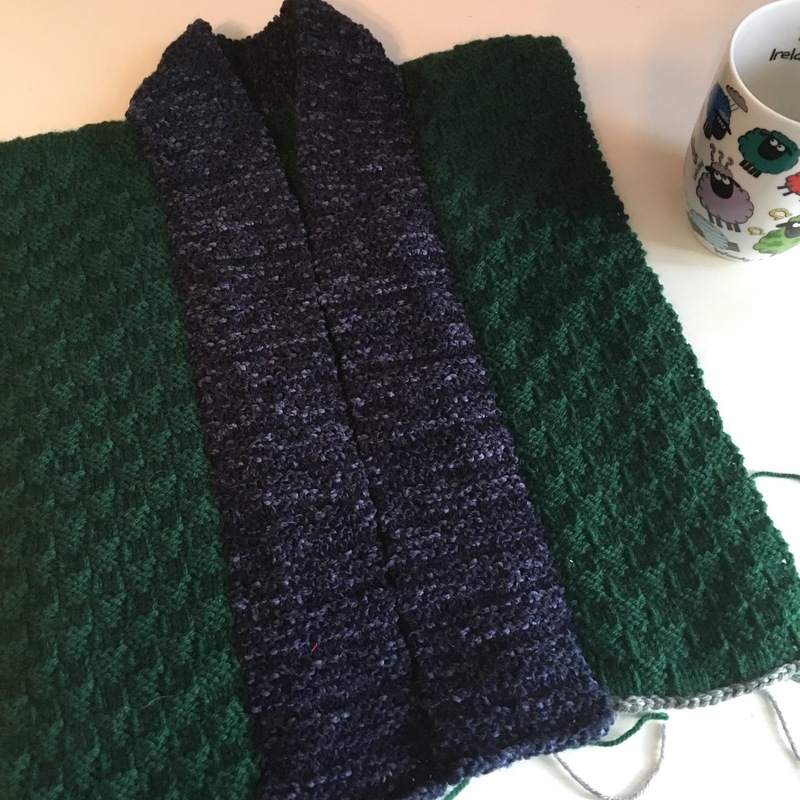 Right sides together, beginning at the centre back, and working towards the hem. Sewing from the centre towards an edge is a common practice when dressmaking and quilting. I left half an inch at the bottom to allow for the hem I will be adding to the body later. 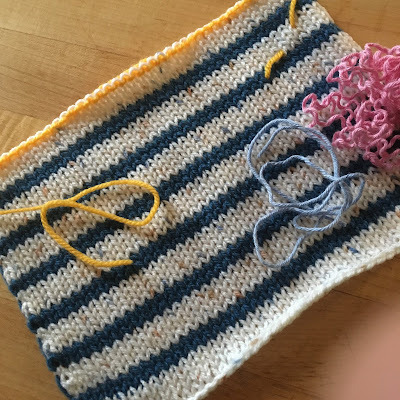 The picture below is where I stitched it in place, for clarity, with white yarn. 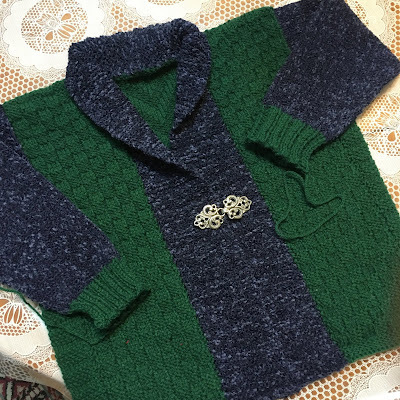 I really stitched using the main bottle green yarn. The seam is quite flat, and will be even more so after a light and careful steam (because of the the acrylic content) once the jacket is complete. I have made several samples for the knit club meeting in February. 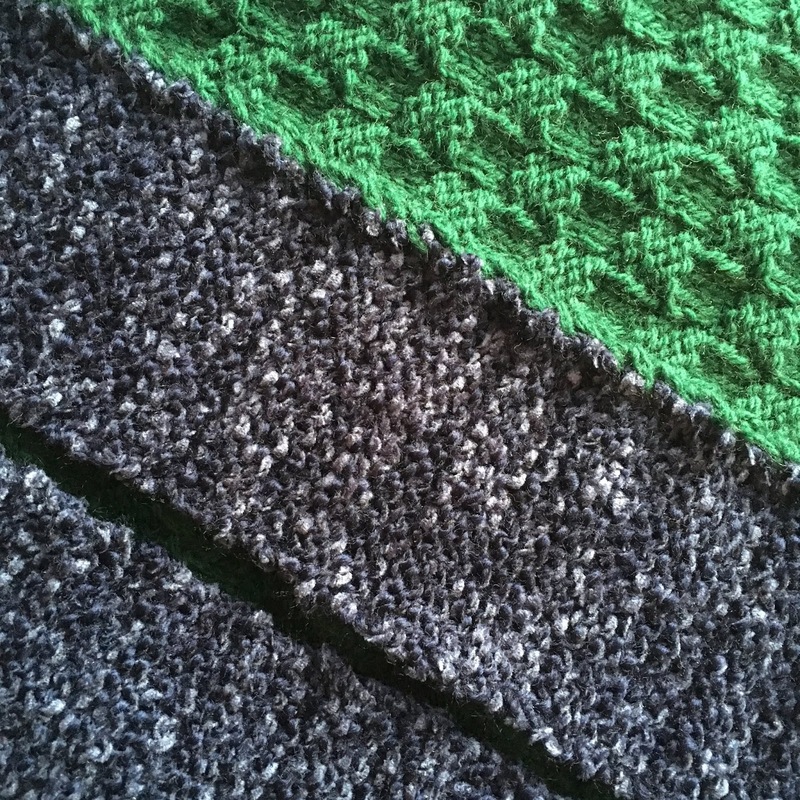 They are in DK yarn, 42 stitches wide and 42 rows long, with a simple stripe pattern. 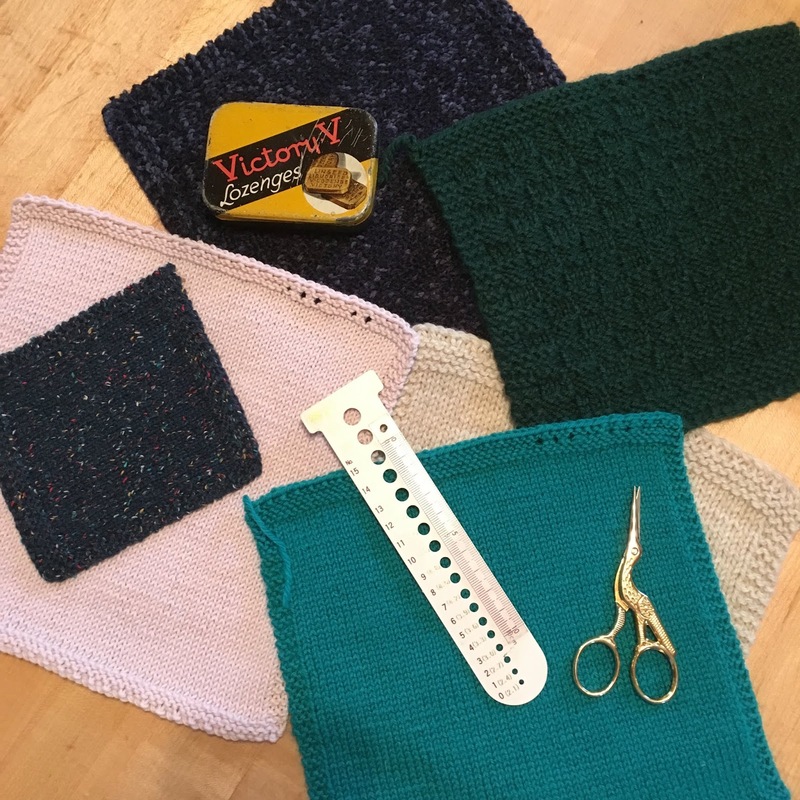 I have 4 goals for using them; tidy up loose ends, the most stretchy bind off, mattress stitch and back stitch seaming. 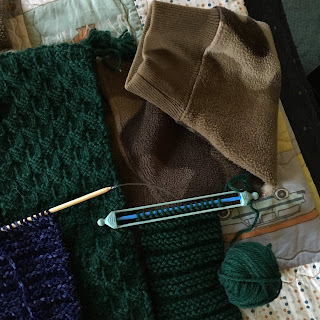 The main tools for this is a number13 tapestry needle, fairly large and with a blunt point. The plastic version works perfectly for this technique. In my system of sweater making, the first step once the work is off the needles is to measure the piece and confirm it is the measurement I expected. Then I tidy up loose ends. Darning them into the inside of the fabric, horizontally, sometimes diagonally and sometimes vertically through the back of the stitches. Then I block, and finally sew up and add the bands. 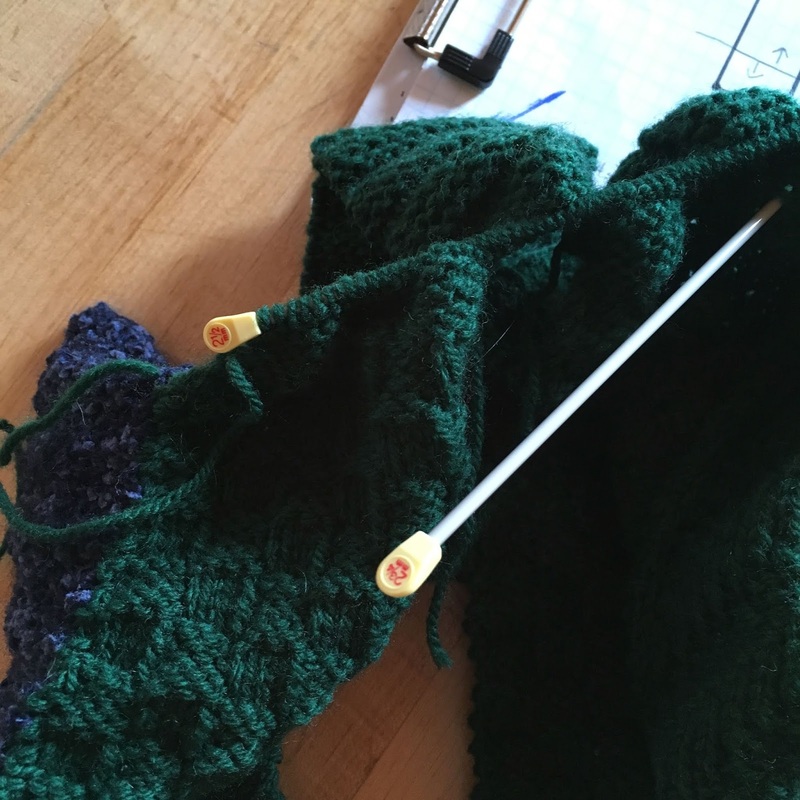 This is often the place for a stretchy bind off, aka backstitching through the loops. Another appropriate place for the stretchy bind is a sideways knit scarf or garment. 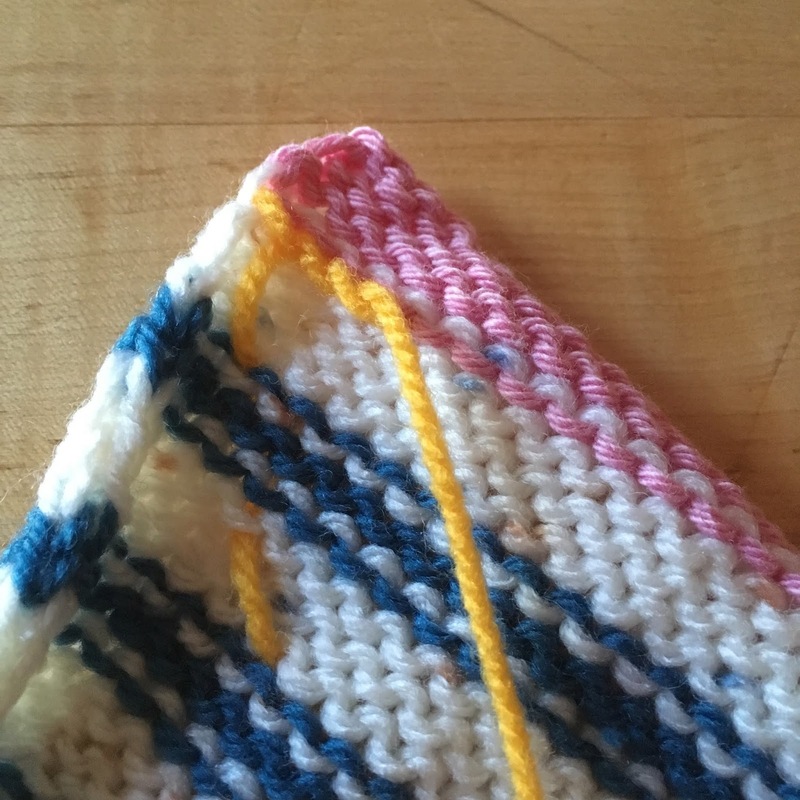 Gravity affects sideways knits and often, what seems loose enough in a cast off, over time restricts the drape of the piece. In our sample, we are doing it after the tidy. 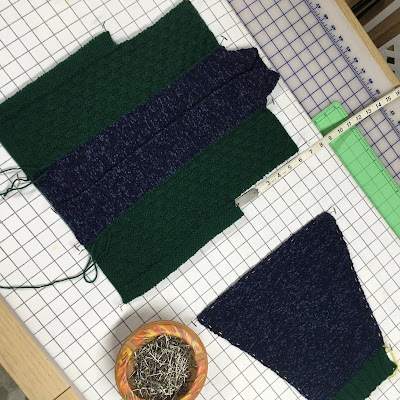 I think because I enjoy sewing as well as needlework, my habit is to work with garment pieces that are clean finished and pressed. I have noticed this also in Japanese garment making, which I have long admired. This is one of my newer reference manuals, which I purchased from The Needle Arts Bookshop in Toronto. 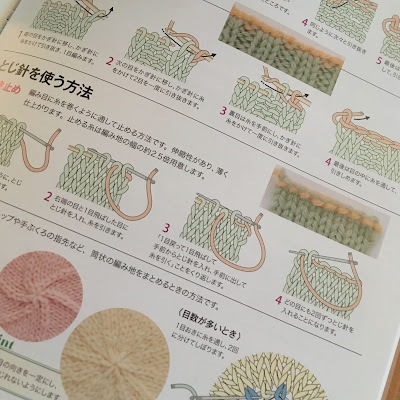 The attention to detail fascinates me, my zen of knitting. 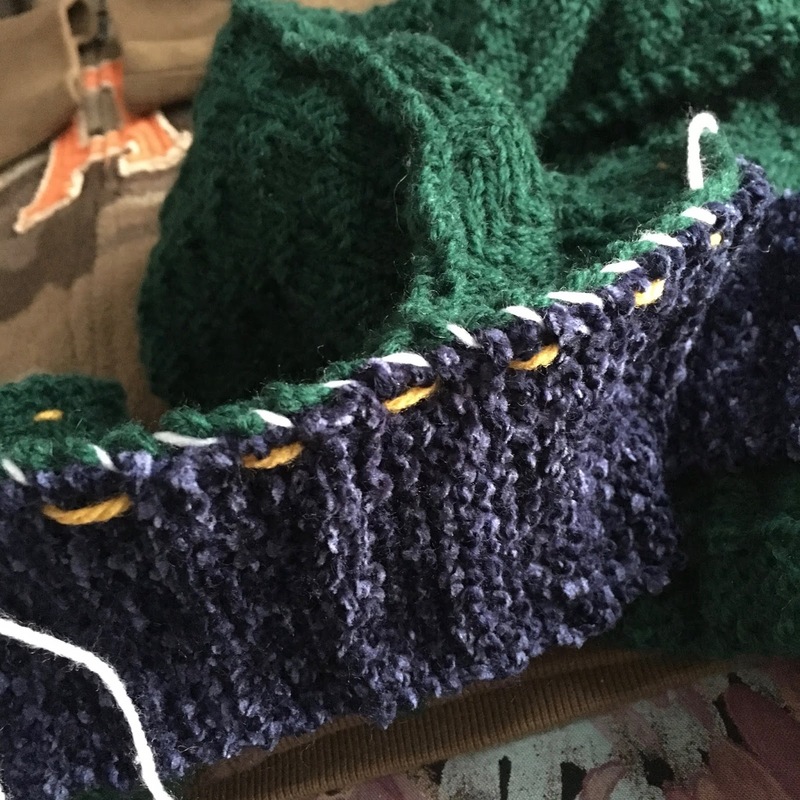 After I have knit the final row for example, I knit a few rows in a sturdy contrast coloured waste yarn which matches the weight of the main yarn. 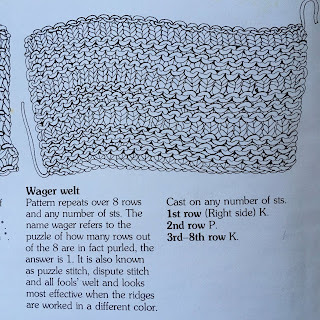 I recently wrote about this method when I finished a cowl in Trinity Stitch. 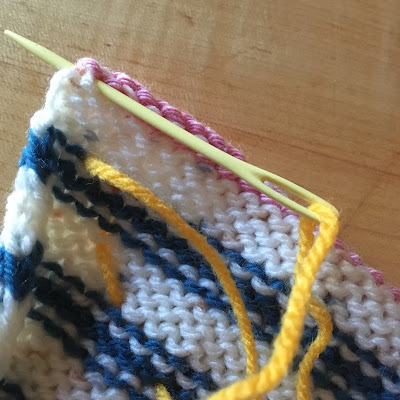 One can certainly do this bind off from a knitting needle, however I have found a few rows of contrast waste knitting is a great benefit to a smooth and even tension and adds to the enjoyment of the process. Below is another photo from a vintage book in my stash. Notice the stitch being worked from right to left again. 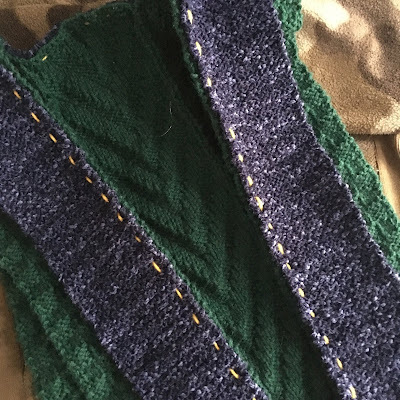 I cut the bind off yarn 5 times the width of the piece. I have noticed a recommendation for 3 to 4 times the width, but 5 times feels much safer to me. For my sample I am using a yellow contrast yarn, but were this a garment it would be the same yarn continued from the final row of the garment. Working from left to right, I poke the threaded needle through the fabric just below the starting point, this is to control the yarn end from jumping into the way, especially during the static filled days of winter. Start by poking through down the second stitch and then up through the first stitch, then up the 3rd stitch and down through the second stitch and so on. 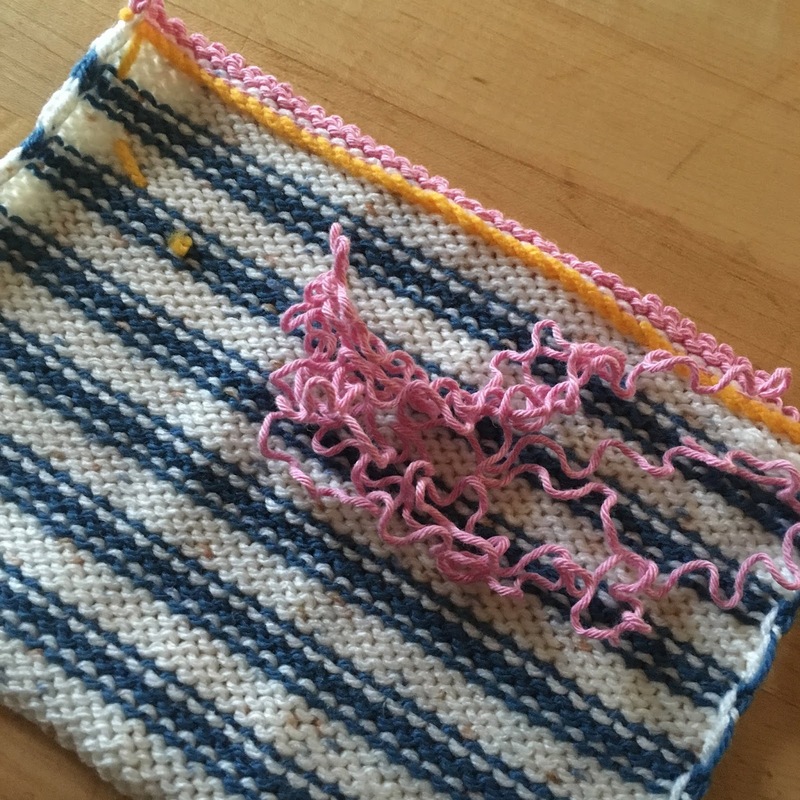 You can gently stretch the knitting to see the actual stitches better. 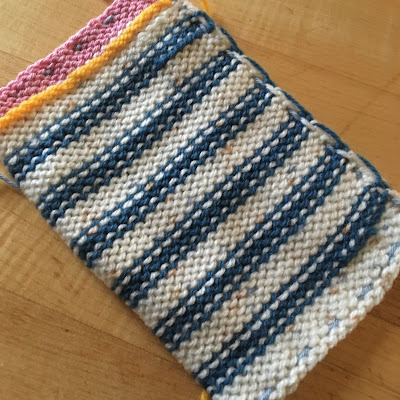 I always look for the rounded shape of the stitch purl side. 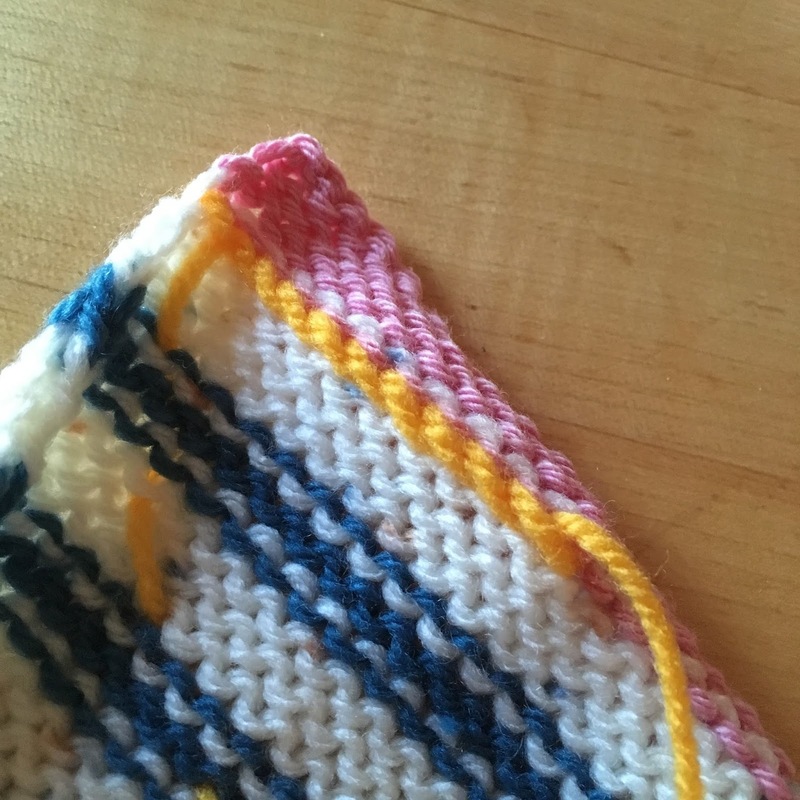 I like to have the yarn below the stitch, and it forms a nice lapped effect on the purl side. You could also have it above, it just matters that you are consistent. Make the stitches a nice relaxed even tension. The main fabric should stay the same width, i.e not pucker or stretch. 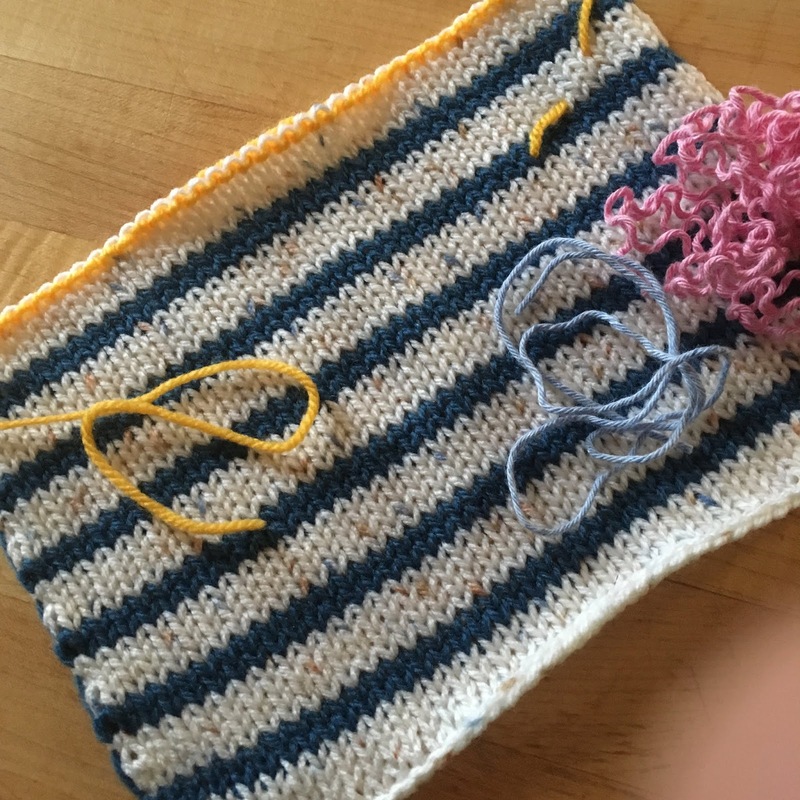 The reverse (right) side will look like little purl bumps. 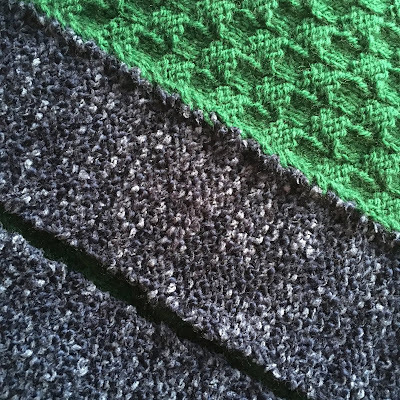 Undo the waste yarn and admire this most stretchy and beautiful bind off. Bruce's Jacket is looking good. Backstitching the main panels is now complete and for sure, always knitting the edge stitches to create a clear selvage was very helpful as endorsed by James Norbury. 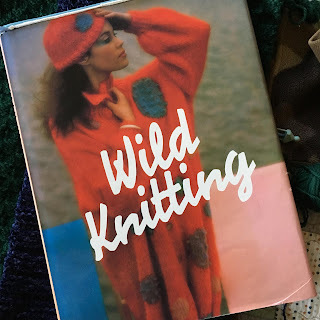 I own this funky book from the 80's called Wild Knitting by Angela Jeffs . There are so many of things to appreciate about this old chestnut, the freshness of the creativity, the joy and fun in the projects and for me especially, the use of mohair, one of my most favourite yarns. I especially appreciate the stitch dictionary at the back and the drawings so beautifully rendered. The selection of stitches all solid and enjoyable picks. 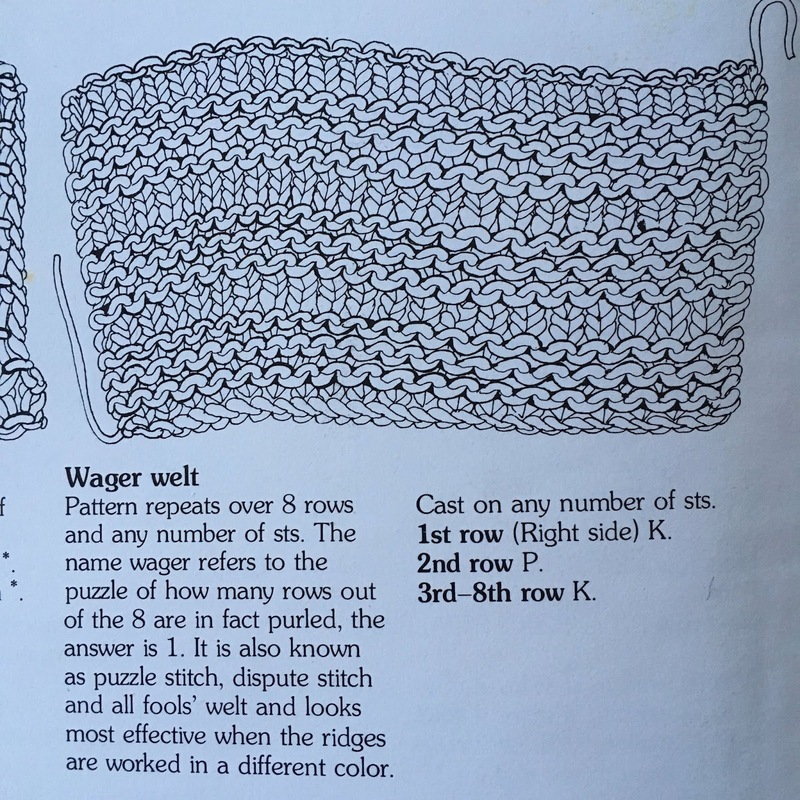 I am using the wager welt for the collar and side panels of the jacket. How can you resist a stitch also called puzzle stitch, dispute stitch and all fools welt. 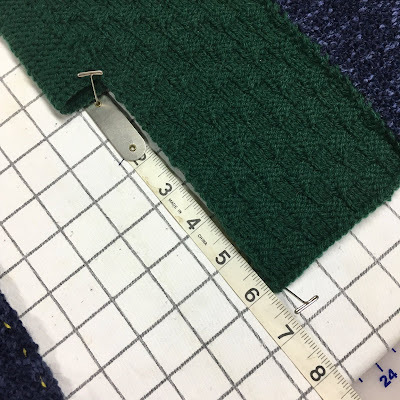 To determine the measurement of the side panels in relationship to the sleeves I lay the parts on top of Bruce's fleece jacket. It looks pretty good to me. The next step is to knit the sleeves. 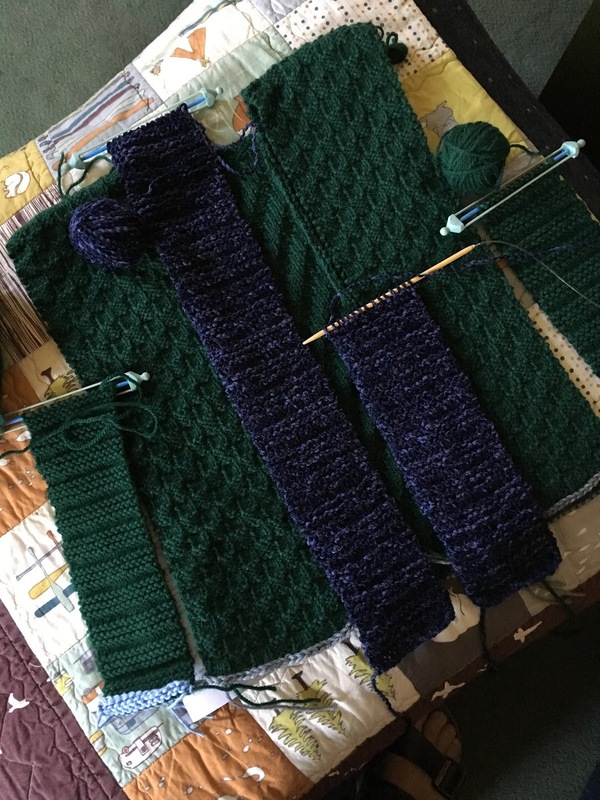 I am going to start from the top and decrease towards the cuff. The top of the sleeve will have a straight area that should sew neatly into the side panel. 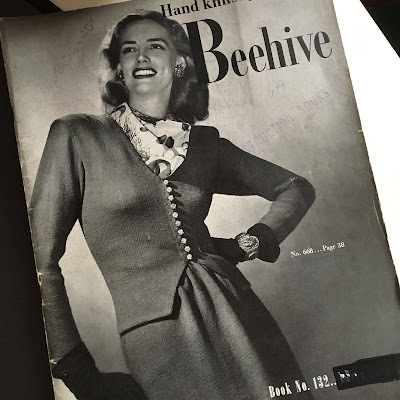 We have been in the knitting business for over 40 years, plus hand knitting is a long tradition in our family. We are always happy to assist in realizing a vision and share any hints or tips we know. We enjoy forming creative partnerships, short and long term, whatever is helpful to crafts people. Click here for a map to our shop. To get on our mailing list, send us an e-mail.